By the time you've finished reading this report, hundreds of organizations will have already experienced some malware event that has successfully evaded their traditional IT defenses. This is the reality in which we live today: malware is both pervasive and effective. 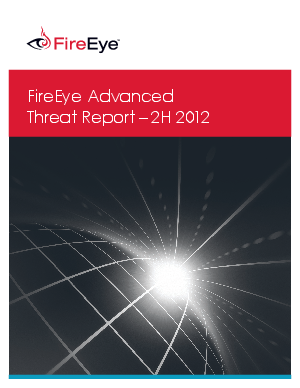 In the new Advanced Threat Report 2H 2012, FireEye draws on data from over 89 million observed malicious events to deliver a detailed look at attack trends across today’s threat landscape.